Elisa Sednaoui in Haider Ackermann. One word: Stunning. But we don't just end there. There's something very magnetizing about the dress. Let's take a closer look at the cutouts in this dress, especially on that part below the hips. I'm wondering what does everyone think of this? Okay so here is a clearer full shot without the text. Will this ever be a trend? I can't imagine yet, when stylish women in the streets, maybe not in the streets, let's just say, fashionable crowds in fashion parties, start wearing skirt, baring their skin. And soon after that, high street brands start producing their own versions. It's just a midnight rambling anyway. Only the talented Mr Ackermann should develop this. And it's reserved for people like Elisa only. Please no Nicki Minaj. I love the editorial inside the magazine. Amazing. View the complete set of photographs here. And one more thing, Haider rocks that Santa Belt. 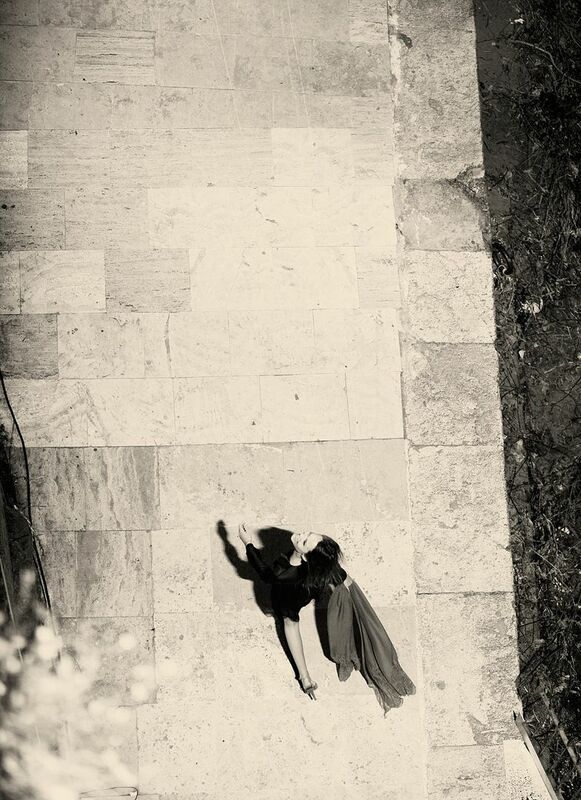 My other favorite is Karlie Kloss' yet another Vogue cover, this time, Vogue Italia. She and her legs. A gift from God. What do you think? Like? You've heard the big news yesterday, and here I present you some teaser pictures from the new highly anticipated collaboration. Marni founder and Creative Director Consuelo Castiglioni has created for H&M a spring collection full of prints and colours, mixtures of modern tribal with Bauhaus graphic. Love the pants and wedges she's wearing here. But moving on, for women, the colours are vivid and the prints are bold, be they African inspired or simpler colour blocks. The silhouettes are all Marni staples, with full pleated skirts, dresses, cropped trousers and jacquard knits, while fabrics range from silk to crisp cotton poplin. To complete the look, the collection also includes jewellery, shoes, bags and scarves. I'm looking forward to the jewellery and shoes! I'm personally not exactly a huge fan of Marni, to be honest, I haven't bought my first Marni piece yet, but I'm still incredibly excited for this. 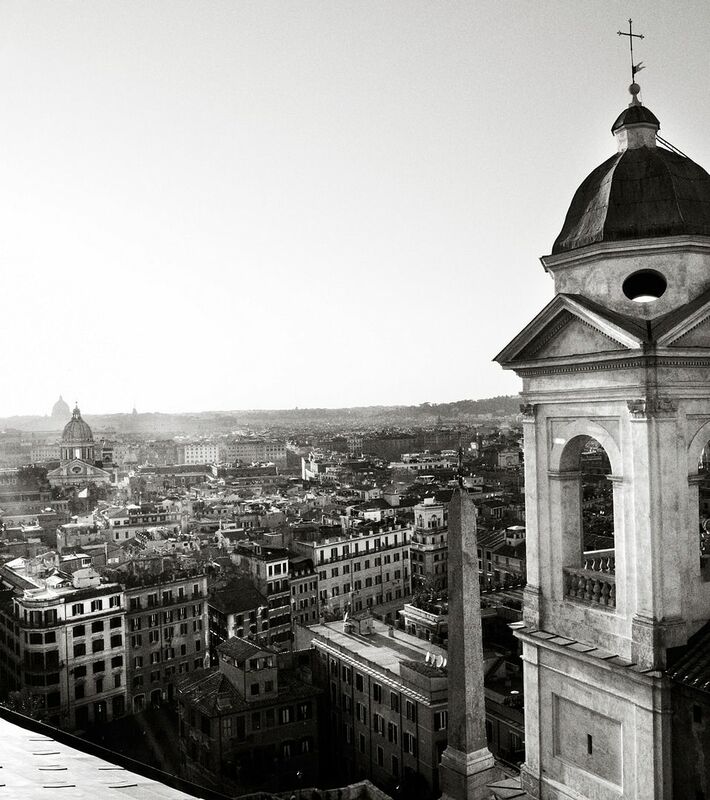 Watch Consuelo Castiglioni explain about the upcoming project with H&M below. We'll expect a major difference from the previous flamboyant Versace collaboration, but I think H&M's choice of Marni right after the glitz of Versace is brilliant. Save your date, March 8, 2012. Here's a clip of the editorial shoot inside the magazine, gorgeous. With New York as a back drop, you can never go wrong. It's a wedding theme shoot, so I want to dedicate this post to my readers out there, my girls, who are getting married soon. Enjoy! 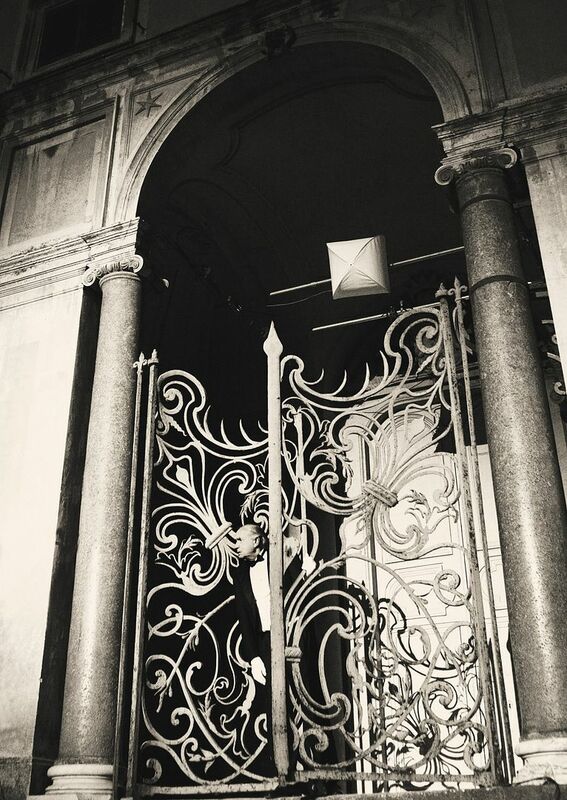 And what about a pre-wedding shoot in NYC! 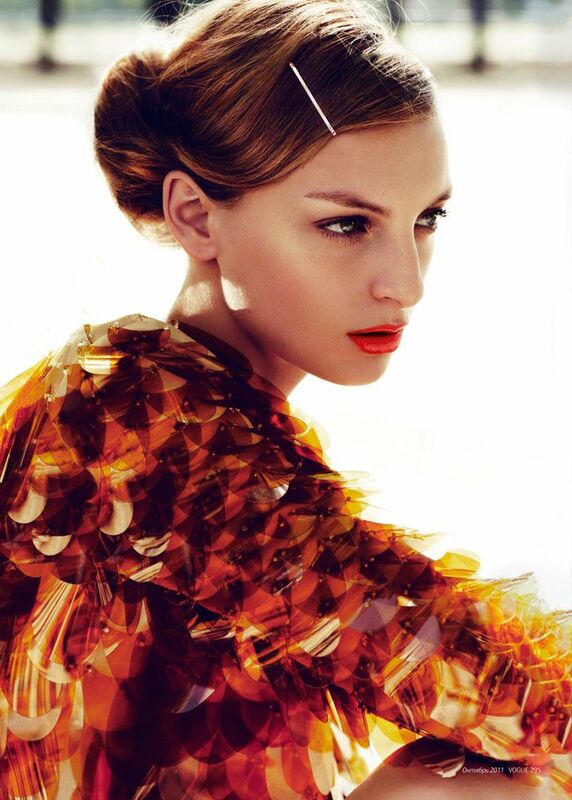 Harper's Bazaar - November 2011. Photographed by Stanley Allan - PPF. "Valentino Valentina is the scent of a young heiress who lives her life to its fullest potential. A daring and addictive blend that captures a mischievous couture spirit." Where is Valentina? Have you seen her? Valentina is fleeing and hiding herself from the bodyguards looking for her. Valentina disappeared during the birthday party her parents organized for her. In all her graceful beauty, Valentina remembers a unique and enchanting night. Photographic campaign by David Sims. I was overwhelmed with the latest Valentino fragrance, Valentina. The ads were so beautifully made, it's fun, flirtatious, it's classy, but rebellious at the same time. Calabrian bergamot, white truffles from Alba, jasmine, orange blossom from Amalfi, tuberose, strawberry, wood notes, cedar, and amber. According to source, Valentino is known for his couture, but this is no "couture scent", it's rather mainstream, though well composed. However, the packaging is sublime. Extremely pretty, I'd say. Here are some random inspiration images to end the week. Next week it's going to be December. The final month of the year. It's also very near to Christmas and New Year, finally! I would say, November has been a challenging month, it's beautiful, but was intriguing at the same time. Anyway, I'm thankful for what has happened so far throughout the year of 2011. Hope these will inspire you. 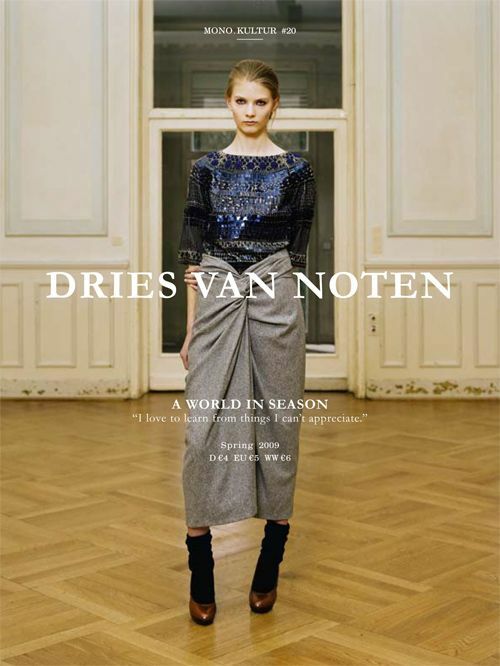 Dries van Noten, Lara Stone, Céline, Arizona Muse, Bottega Venetta, Prada, Miranda Kerr, Daphne Guinness, Taylor Tomassi, Isabel Marant, Lanvin and more. This girl has the perfect figure to pull off the vibrant red hot jumpsuit. And that lipstick she's wearing sealed the look. One of the best street style I've ever encountered. And it's the perfect time of the year to wear red. Maybe more amount of red. Pair it with gold bangles and cuffs and there you are, ready to celebrate the holiday season. Apparently the jumpsuit from Valentino Resort 2012 is available online, you can still get it here for US$2290. Wearing the latest addition to the family, Cheap Monday Telekinesis. I was on a quest for a pair of big, round sunglasses. I prefer the aviator style, but this particular plain black model is definitely an option, seeing as they don't make me look like a bug. Do you like? Have you seen the most beautiful shoes of 2011? Here they are, Marlene and Faye. As Carrie chases after a Staten Island ferry, she yells, "I lost my Choo!" and we get a perfect shot of the gorgeous, lilac Jimmy Choo open toe slingbacks with feather trim at toe. Remember the scene? The iconic shoe, Feather, inspired the birth of Marlene, which features couture elements such as hand-applied peacock blue feathers and crystals. 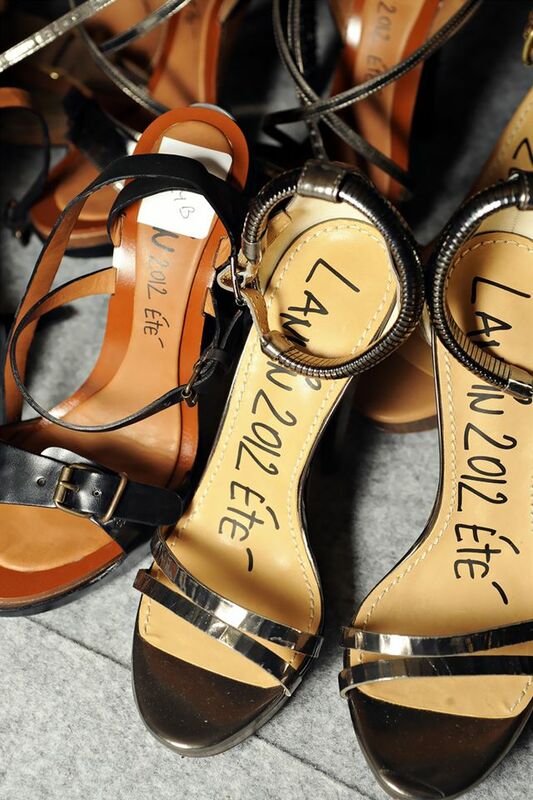 Watch Tamara Mellon introduces them here. Faye is derived from Murial. The original shoes featured a gold embellished flower and now has been reimagined in zebra-print pony and topped with a flouncy red-silk corsage flower. They are too perfect to be true. ICONS is a capsule collection of shoes inspired by the most significant creations from the company’s archives. These modern interpretations of classic designs represent the iconic glamour of Jimmy Choo today. Each shoe from the ICONS collection will be packaged in a special commemorative box that will include a card explaining the heritage of the item. Ten percent of the net sales of ICONS shoes will be donated to the Jimmy Choo Foundation, a charitable trust that will be chaired by Jimmy Choo Founder and Chief Creative Officer, Tamara Mellon OBE. A commemorative coffee table book, entitled JIMMY CHOO XV highlights these 15 iconic archival shoes and anthologizes their creation through design sketches, editorial imagery, paparazzi shots and house photography. The release of the Icons collection and the JIMMY CHOO XV are a part of the year-long celebration of the brand’s 15th Anniversary. Images courtesy of Jimmy Choo. Still in the mood of Versace, take a look at these exquisite pieces from Versace Atelier. After reading the controversial article on Versace for H&M by Jemima Lewis on Telegraph, I think we ought to look at Donatella from another perspective. She's clearly not someone who "is famous for the conjuring trick of persuading rich people to fork out vast sums for clothes that look cheap. Now, she has succeeded in flogging cheap clothes to people who want to look like rich people who want to look cheap." Look at these now, you see how much creativity and detailing involved in creating these pieces of art. View the rest of the collection here. This long draped silk mousseline evening gown would look perfect on the red carpet. Period. Here's another show stopping piece, a mini dress with a neoprene foulard in acid green and yellow “Dragon Baroque” print on black and gold embroidered background. The rest are simply stunning. It's not Versace without something metal knit and multicolour. 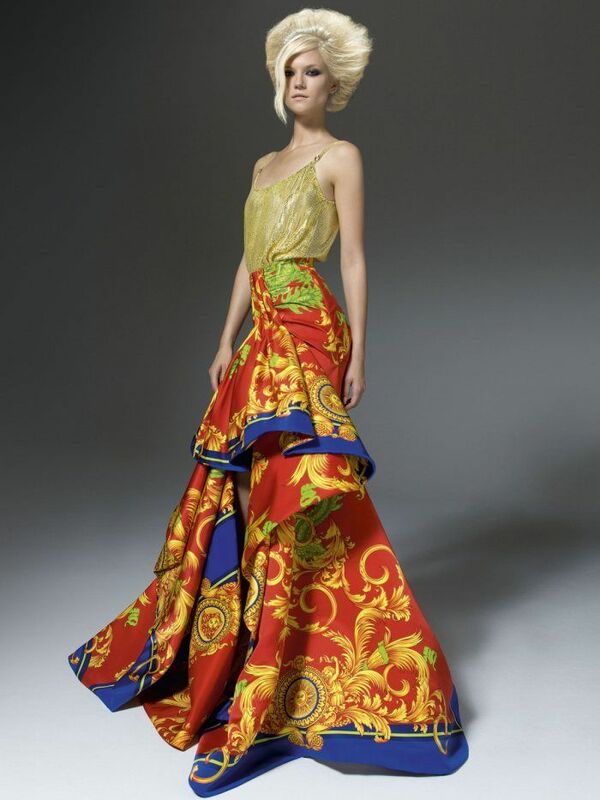 Finally, the grand ball skirt in radzimir “Dragon Baroque” indigo, gold and acid green on vermilion printed foulard. What do you think? Out of all jewelry gift guides I've been starting to notice in style blogs and newsletters, my love goes to Erickson Beamon. 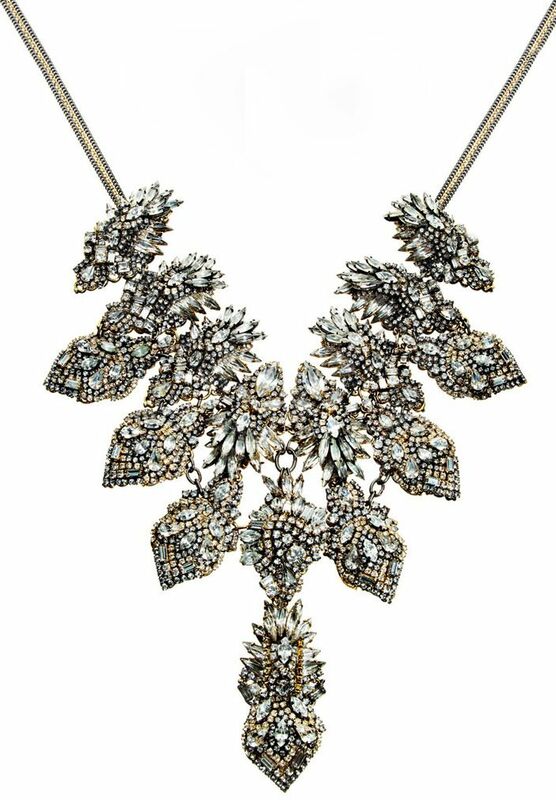 Ultimate holy grail here, is no other than the Bette Davis Eyes large crystal bib necklace, US$2,160.00, available at Barneys for pre-order. 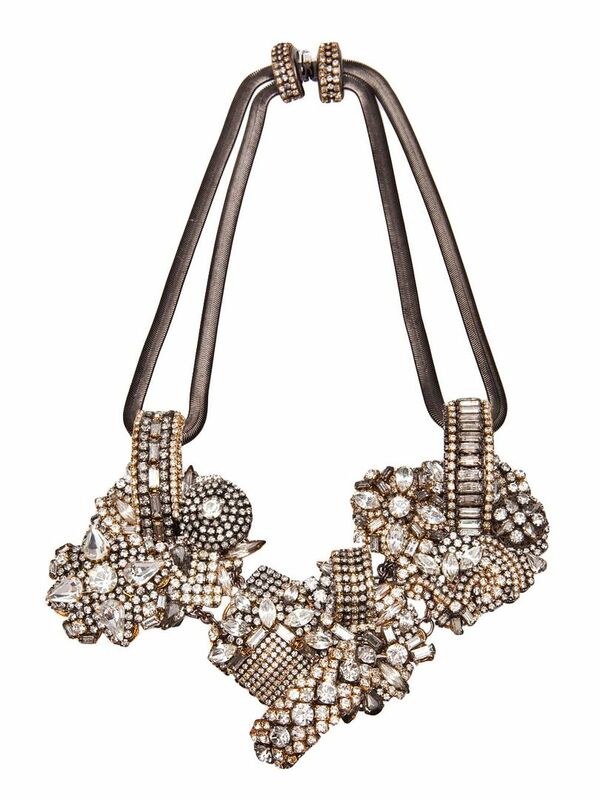 Next is the triple embellished necklace, featuring two flat gunmetal chains, three large crystal embellished pieces connected to each other, and an embellished clasp fastening. You can get it for €694.00 here. 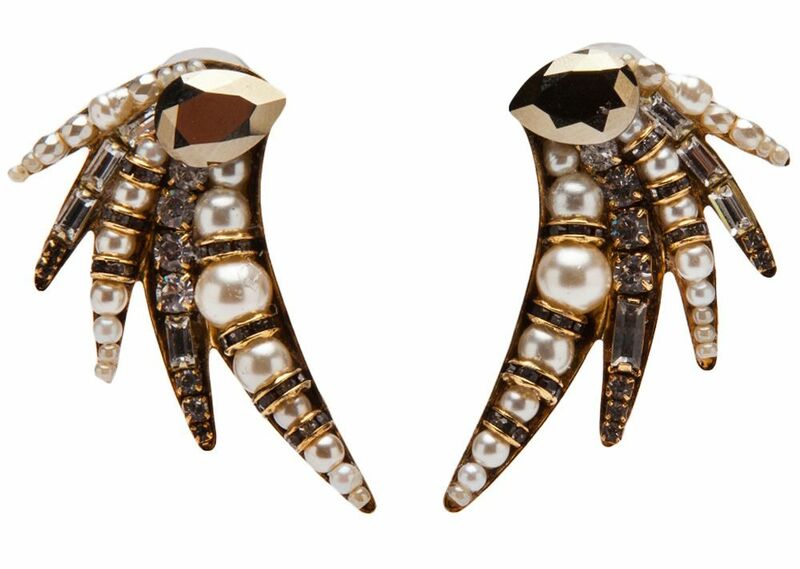 Now this one is called the beauty and the beast earring, priced at €309.00 also from Farfetch. Finally, the half circle cuff. 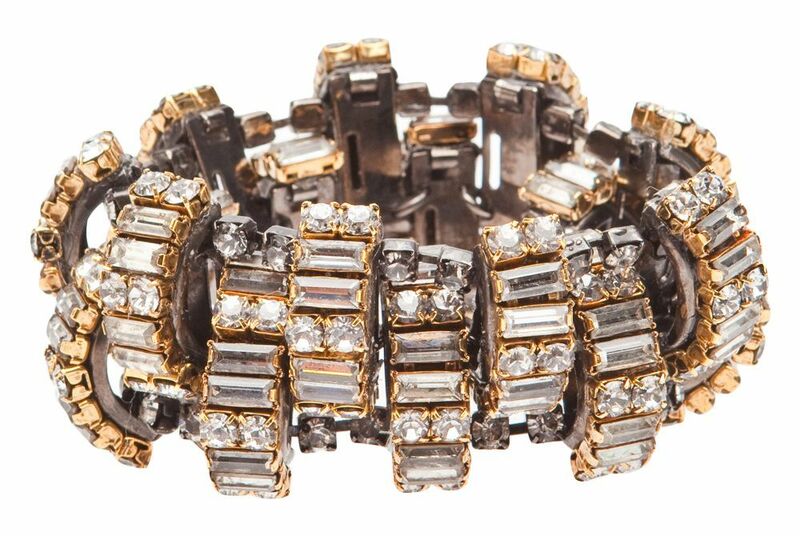 This bracelet features varying crystal embellished half circles, rows of crystal chains, priced at €524.00. A little bit about the designer, founded by Detroit natives, Karen Erickson, Eric Erickson and Vicki Beamon, they have conceived a bauble and bangle empire that has taken the world by storm. The brand was born when the trio decided that there needed to be more readily available jewellery for runway shows and no other creative team are as closely linked with the shows at they are. Erickson Beamon also allow for people all over the world to have their crystal costume jewellery dreams to come true when they buy into these dazzling handcraft pieces. Images from Farfetch and Barneys.